Employers should realise there is still an untapped pool of talent: individuals with disabilities. Take the remarkable story of Temple Grandin. Growing up in the 1950s, a time when little headway was made in the field of autism, Grandin was often ostracised because of her habit of repeating herself. Despite her poor conversational ability, her mind was a gifted one and she possessed a flair for thinking in pictures. Today she is a celebrated professor and animal rights activist. Prof Grandin is just one of the many special-needs people who defied all expectations and became highly successful. British theoretical physicist and renowned author Stephen Hawking has been living with motor neurone disease since the age of 21. These success stories debunk the myth that people with disabilities are incapable of performing competently. 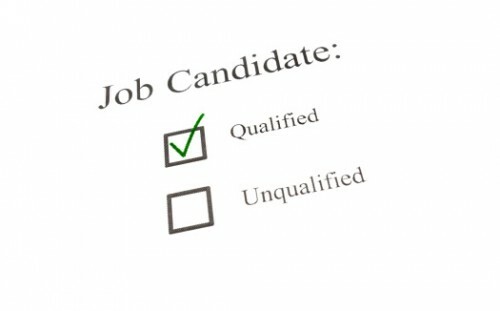 Yet in 2011, a study published in the December issue of the Journal Of Occupational Rehabilitation in the United States titled “Why don’t employers hire and retain workers with disabilities?“ found that 41.8 per cent of the respondents had doubts about the necessary skills and expertise of job applicants with disabilities. About 53.3 per cent of them admitted to being prejudiced while 40.9 per cent believed that disabled people would be potentially problematic employees. For the purpose of the study, the researchers involved only employers known to be reluctant to hire and accommodate employees with disabilities. Another reason for their reluctance: the perceived cost of providing suitable accommodation for employees with disabilities. This concern has been proven to be unfounded. In Workplace Accommodations: Low Cost, High Impact, a 2012 report by the Job Accommodation Network, a service of the US Department of Labour, 336 out of 590 (57 per cent) said the accommodation needed by employees cost nothing. Of the accommodation that did incur cost, the typical one-time expenditure by employers was just US$500 (S$630). Some countries dangle financial carrots to encourage employers to hire disabled workers. Since 2007, Singapore has offered the Open Door Fund to employers that incur cost in apprenticeships and workplace modifications for the disabled. In addition, under the Special Employment Credit initiative, employers receive a 16 per cent wage subsidy on the salary of a disabled employee who earns up to $1,500. For salaries between $1,500 and $3,000, they get $240, an amount that is phased out to zero at the income level of $4,000. Fast-food chain KFC, which has hired roughly 300 people over the past 10 years, has benefited from the government subsidies. According to chief executive Michael Gian, KFC offers a variety of job scopes to workers with disabilities, and has redesigned its work stations to suit their needs. A 2013 study by the Conference Board and School of Industrial and Labour Relations in the US titled Levelling The Playing Field: Attracting, Engaging And Advancing People With Disabilities found there are numerous benefits — beyond tax incentives — to hiring people with disabilities. The intangible benefits include increased office morale, customer interaction and attendance. The study also shed light on successful companies such as Walgreens which manages a chain of drugstores focused on health and wellness. Walgreens is a fervent advocate of hiring special needs employees. In 2003, when it had plans for a new distribution centre in Anderson, South Carolina, the company made a conscious effort to ensure one-third of its workforce was made up of disabled personnel who had problems finding a job. These employees were held to the same productivity and workplace standards as their counterparts. In a post-mortem analysis, the centre performed 20 per cent more efficiently than the other centres. The study also found that 87 per cent of consumers prefer to work with companies that hire disabled workers. So, from a business standpoint, is it prudent to hire people with disabilities? Well, it does seem that the pros of hiring people with disabilities far outweigh the cons, if there are even any at all. The key, then, is to find a way to accommodate their needs — without making concessions to work standards — and then treat them as equals. Article by Nicholas Goh, chief executive officer of Verztec Consulting, an ISO 9001:2008 global content consulting company.